Apple will no longer provide the Lightning to 3.5mm adapter with the iPhone. A quick look at the spec sheets on Apple's website confirms that the adapter is no longer listed among the accessories that come bundled in the box. This applies to all the iPhone that are part of the 2018 lineup, including the iPhone XS, iPhone XS Max, iPhone XR, iPhone 8, iPhone 8 Plus, iPhone 7 and the iPhone 7 Plus. The last two iPhones that had a headphone jack are now discontinued. 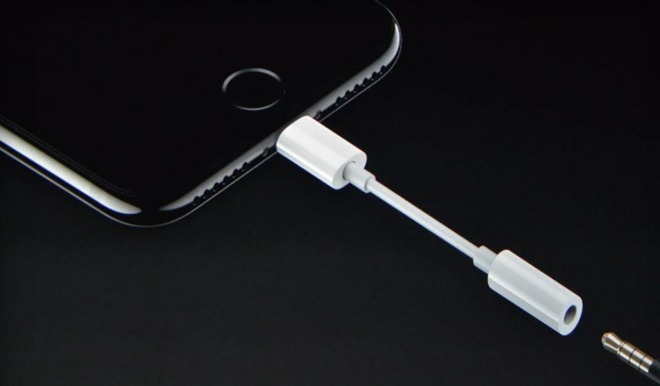 The Lightning to 3.5 mm Headphone Jack Adapter, as it is called, as been part of the iPhone packaging since the headphone jack was omitted back with the iPhone 7 launch. It has since been tucked away at the back of the EarPods packaging inside every iPhone box. The accessory is the cheapest Apple product you can buy today, at just $9. While its removal can be seen as penny pinching (and with Apple you never know), the actual use that adapter got is of suspect, considering most people just use the bundled EarPods or possibly get the AirPods. It will be interesting to see how many people notice that it's gone, or were even aware it was there to begin with.